Going for a walk, jog, or run can be a great way to lose weight and maintain good overall health. However, consumers don’t have to get on the treadmill or put on their best running shoes to improve their cardiovascular health. A new study from the University of British Columbia Okanagan campus shows that weight and resistance training can improve heart health and help those suffering from diabetes. Senior researcher Jonathan Little points out that those with Type 2 diabetes are four times more likely to develop cardiovascular disease, but he and his colleagues found that performing some simple exercises cut that risk. 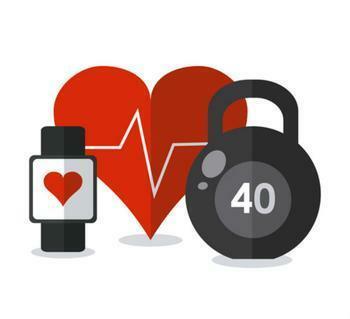 "After completion of just one bout of exercise, we saw an improvement in blood vessel function, an indicator of heart health and heart attack risk. . . With further study, this information could provide a new safe and cost-effective tool to help people manage their disease," he said. The study analyzed the effects of two types of interval training on blood vessel function. The first was resistance training, which involved leg press, extension, and lifting exercises. The second was a more general cardiovascular exercise involving a stationary bike. Thirty-five participants were placed into three groups for the purposes of the study: those with Type 2 diabetes, non-exercisers, and regular exercisers without diabetes. Each group took part in a 20-minute exercise routine that involved high-intensity, low-intensity, and rest periods. After each group had tried both the resistance and cardiovascular exercises, the researchers measured their blood vessel function. They found that the resistance exercises were very effective, especially for those with diabetes. "All exercisers showed greater blood vessel function improvement after the resistance-based interval training. However, this was most prominent in the Type 2 diabetes group," said co-author Monique Francois. The researchers believe that resistance and weight training can be a great way for diabetes sufferers to manage their disease, pointing out that it is easy for non-exercisers and beginners to pick it up and can accommodate a variety of different schedules. "Resistance training was introduced to this group because it's relatively easy and can accommodate individuals who are new to exercising. This study shows that resistance-based interval training exercise is a time-efficient and effective method with immediate effects," they said. The full study has been published in the American Journal of Physiology – Heart and Circulatory Physiology.